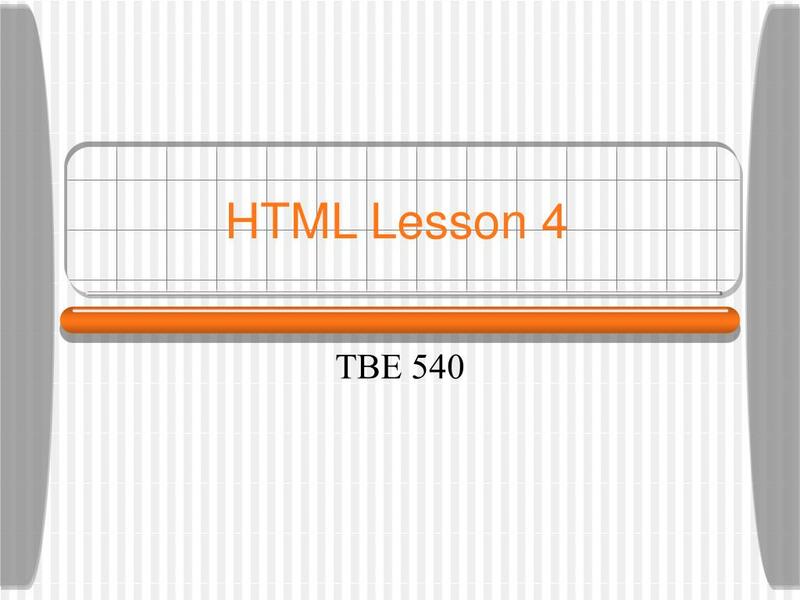 HTML Lesson 4 TBE 540 Prerequisites Learners must already be able to... (besides basic computer knowledge) Use a search engine to locate information. 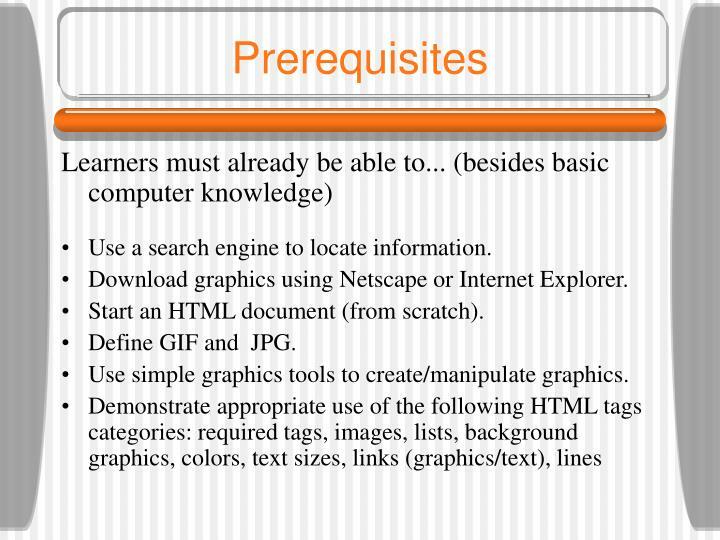 Download graphics using Netscape or Internet Explorer. 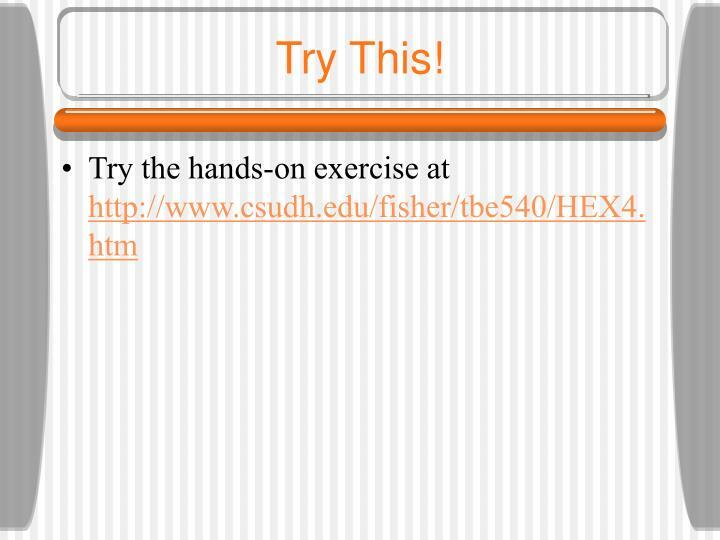 Start an HTML document (from scratch). 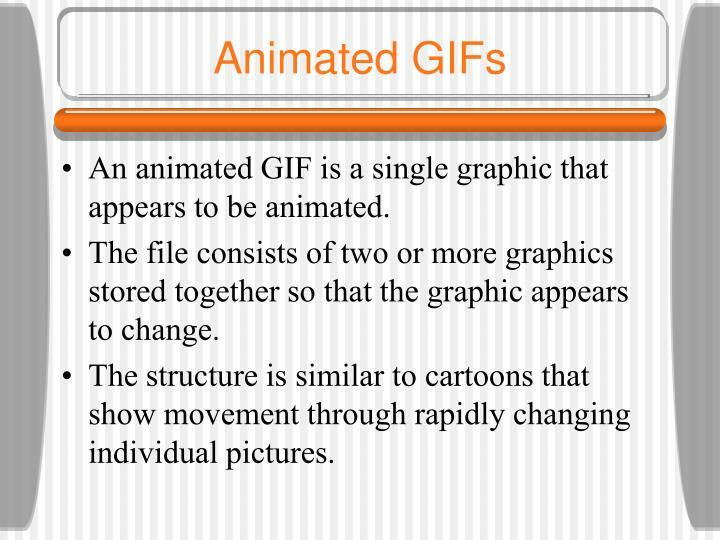 Define GIF and JPG. Use a search engine to locate information. 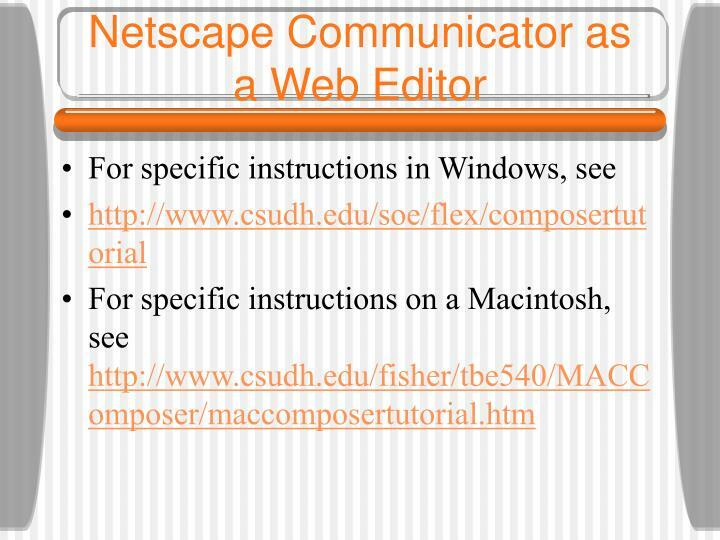 Download graphics using Netscape or Internet Explorer. 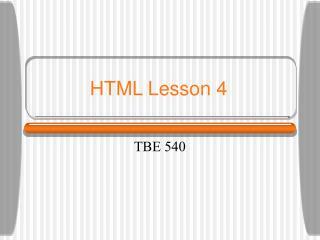 Start an HTML document (from scratch). Use simple graphics tools to create/manipulate graphics. 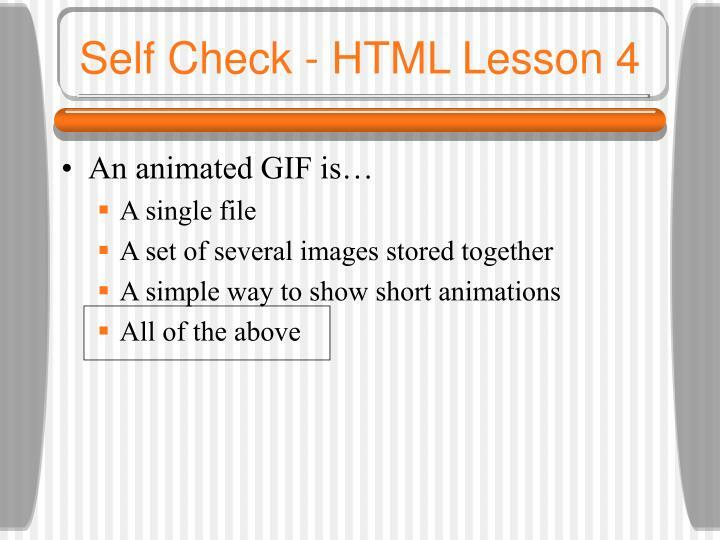 Create a simple animated GIF using GIFBuilder (or a similar program). Create a GIF from the clipboard ("copied" graphic) using clip2gif (or a similar program). Create three linked web pages (topic=South America). 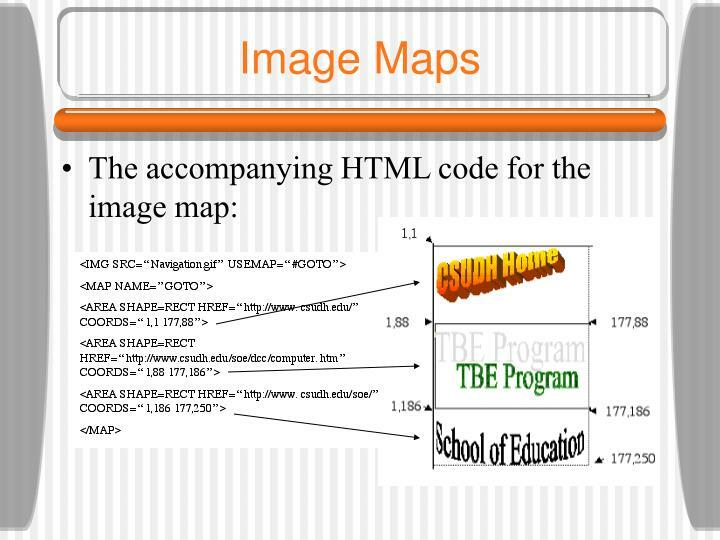 Create an image map for two or more links (using WebMap or a similar program) and include the map in a web page. An animated GIF is a single graphic that appears to be animated. The file consists of two or more graphics stored together so that the graphic appears to change. The structure is similar to cartoons that show movement through rapidly changing individual pictures. 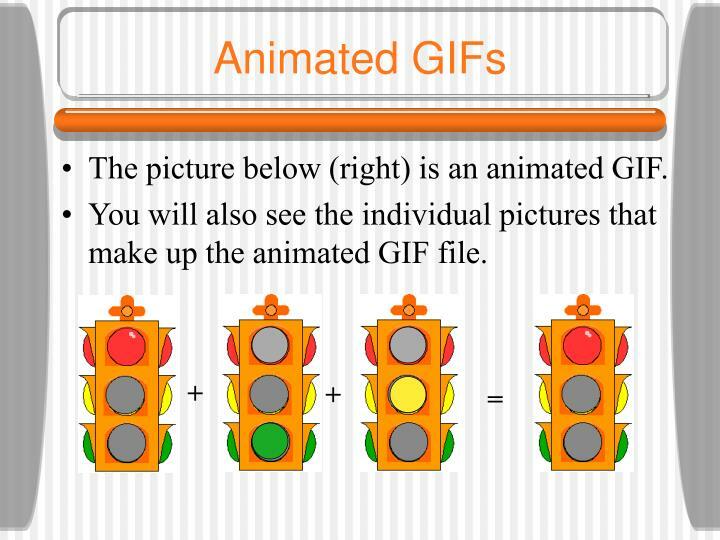 The picture below (right) is an animated GIF. You will also see the individual pictures that make up the animated GIF file. 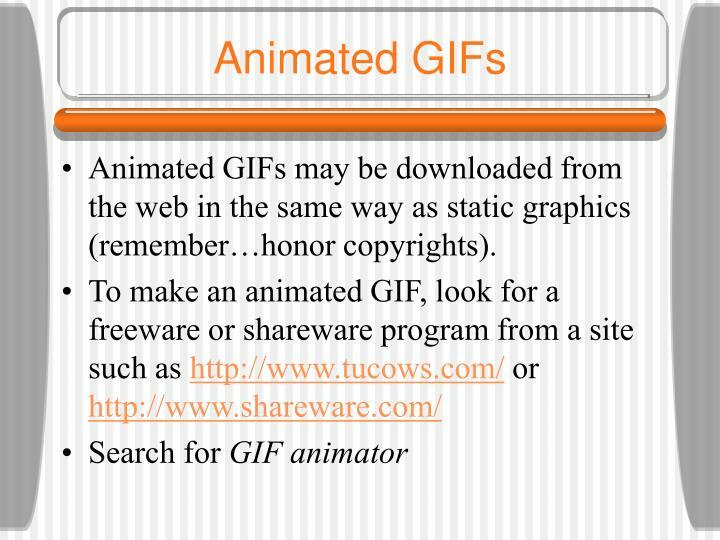 Animated GIFs may be downloaded from the web in the same way as static graphics (remember…honor copyrights). When you use the editing functions Copy or Cut, the information is placed in a part of memory called the clipboard. 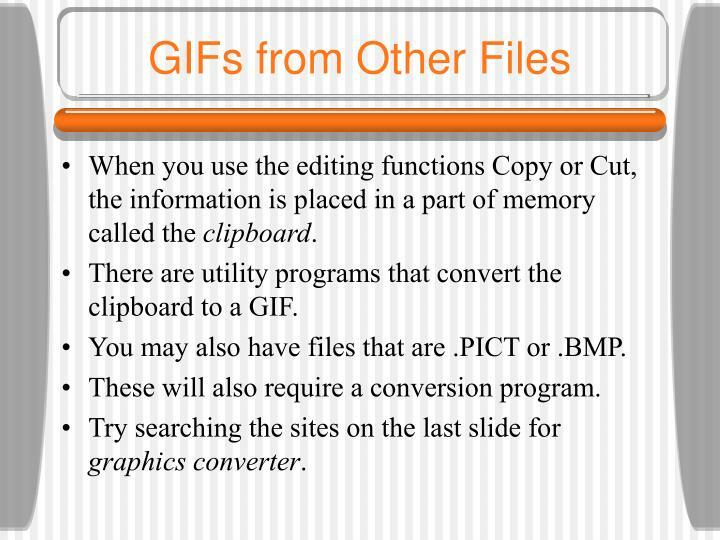 There are utility programs that convert the clipboard to a GIF. You may also have files that are .PICT or .BMP. These will also require a conversion program. 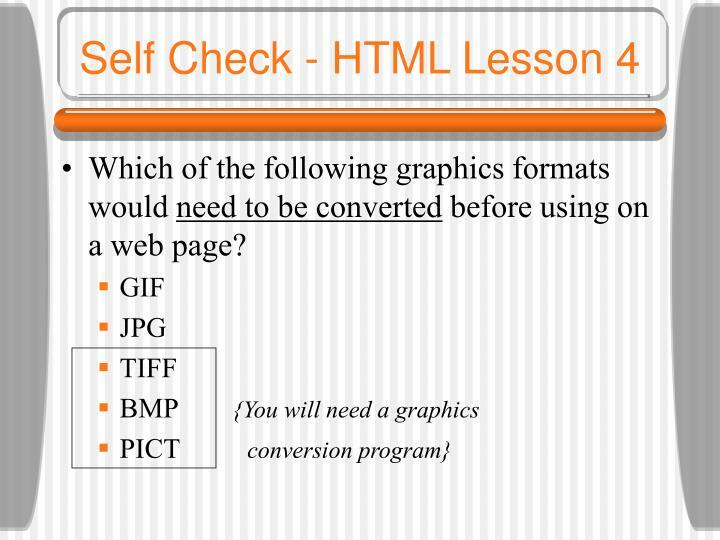 Try searching the sites on the last slide for graphics converter. In an earlier lesson you learned that a graphic can be a link. 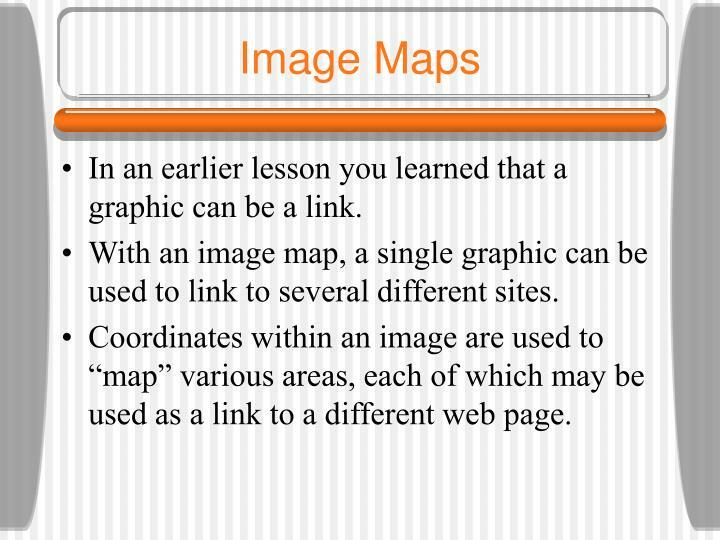 With an image map, a single graphic can be used to link to several different sites. 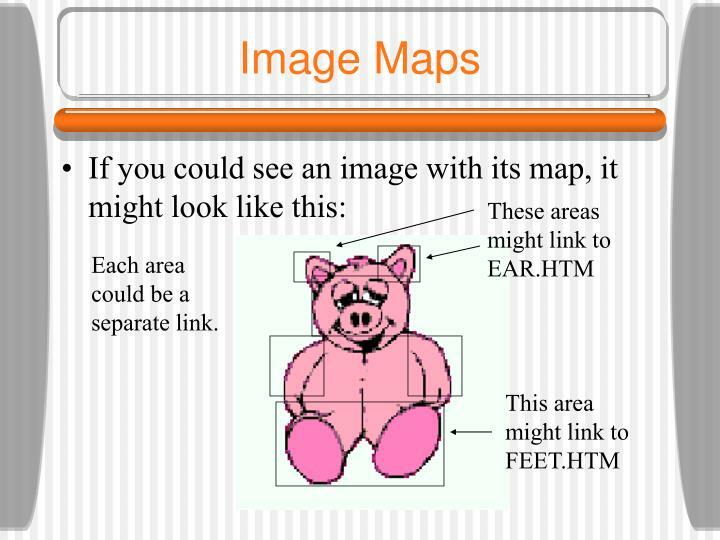 Coordinates within an image are used to “map” various areas, each of which may be used as a link to a different web page. Each area could be a separate link. Each area is defined by coordinates in pixels. 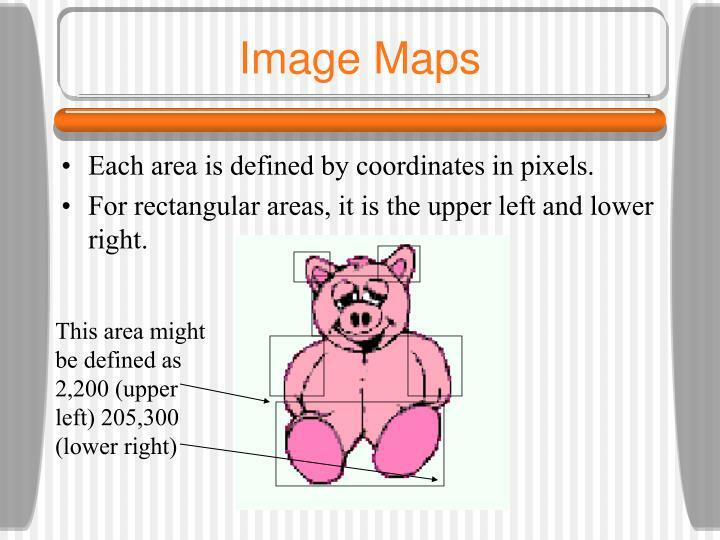 For rectangular areas, it is the upper left and lower right. 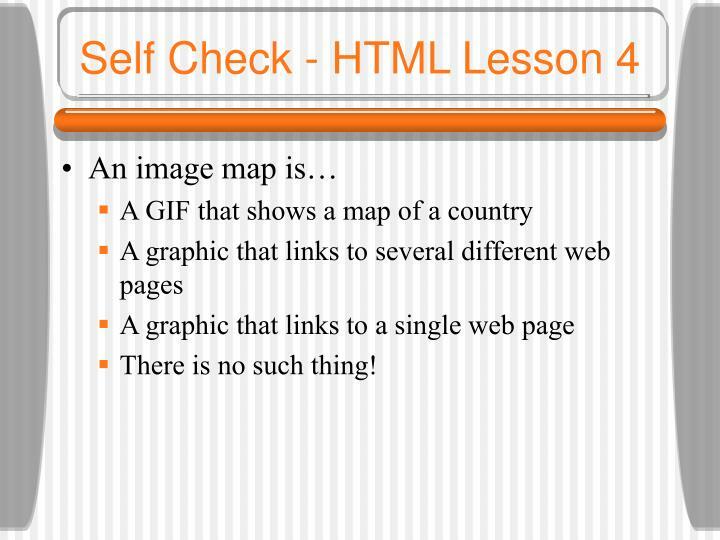 The HTML code to make an image map begins with the IMG tag. 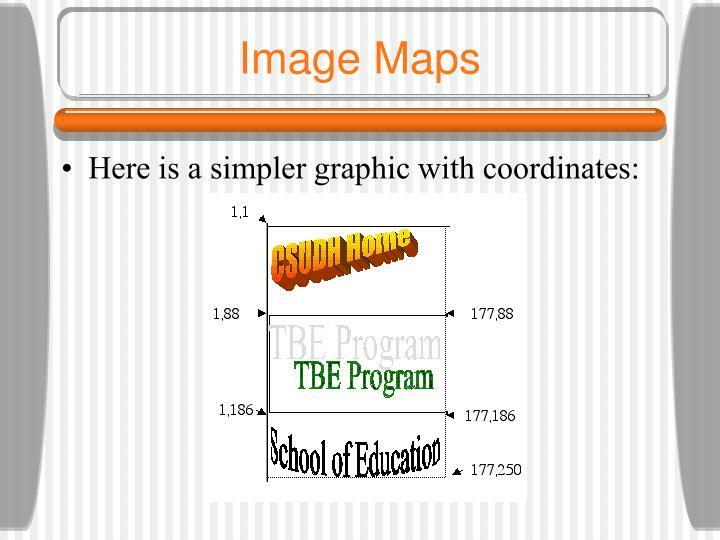 USEMAP says that the graphic is an image map. 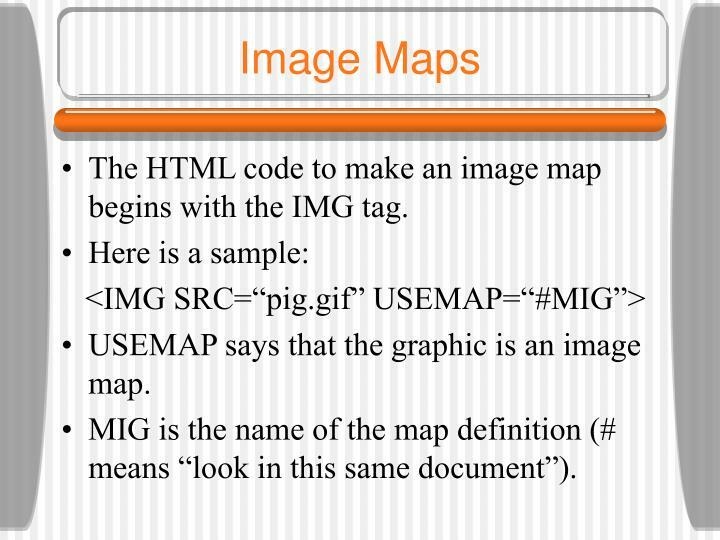 MIG is the name of the map definition (# means “look in this same document”). The name of this map definition is MIG. 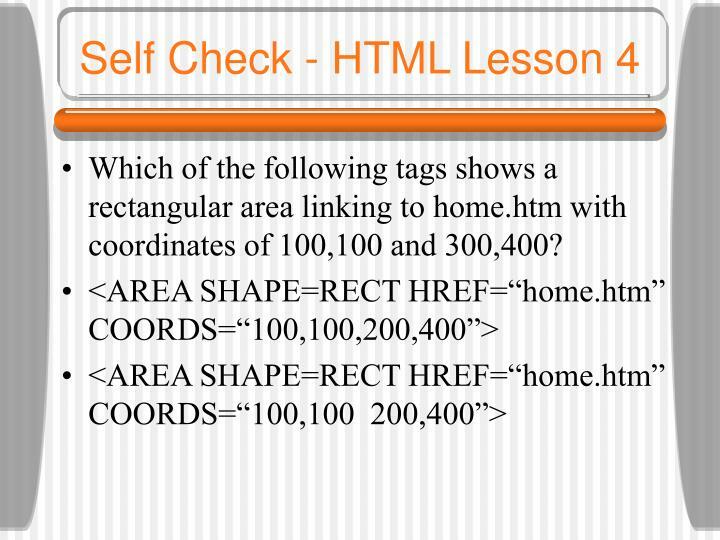 The lines in between describe the areas (by coordinates) and the web pages that they link to. 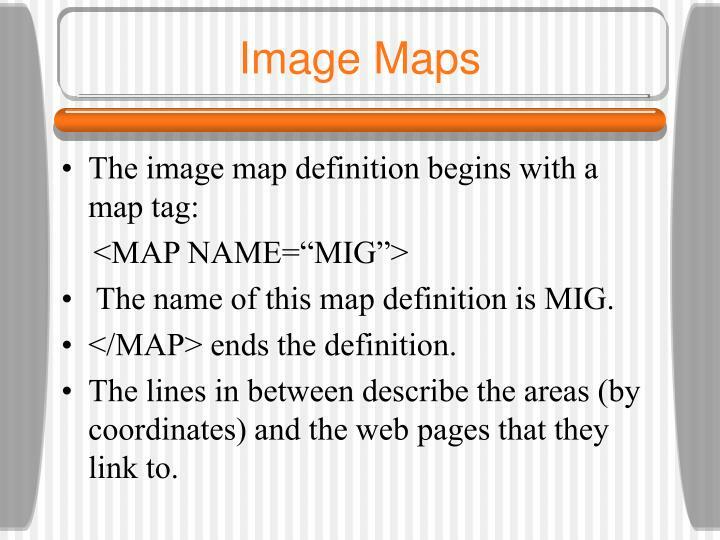 The lines between <MAP NAME=“MIG”> and </MAP> define the areas, one tag for each area. The shape of the area is a rectangle, the link goes to FEET.HTM, the upper left of the rectangle is at 2,200 and the lower right of the rectangle is at 205,300. How can I find the coordinates? 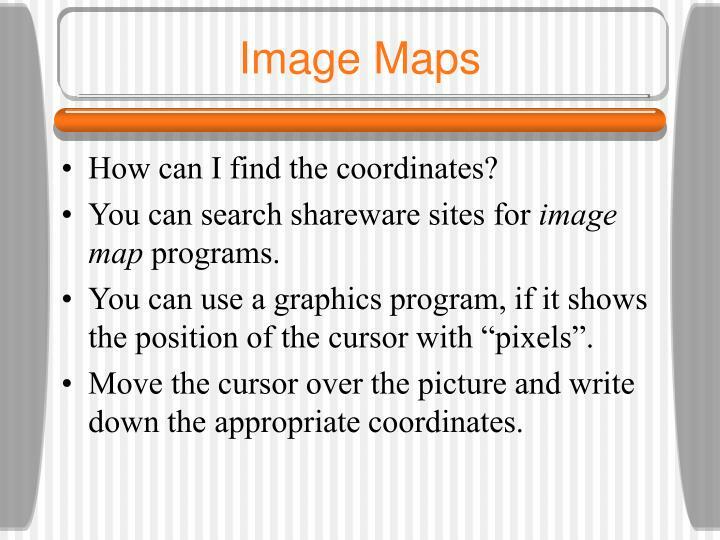 You can search shareware sites for image map programs. You can use a graphics program, if it shows the position of the cursor with “pixels”. Move the cursor over the picture and write down the appropriate coordinates. Which of the following graphics formats would need to be converted before using on a web page? 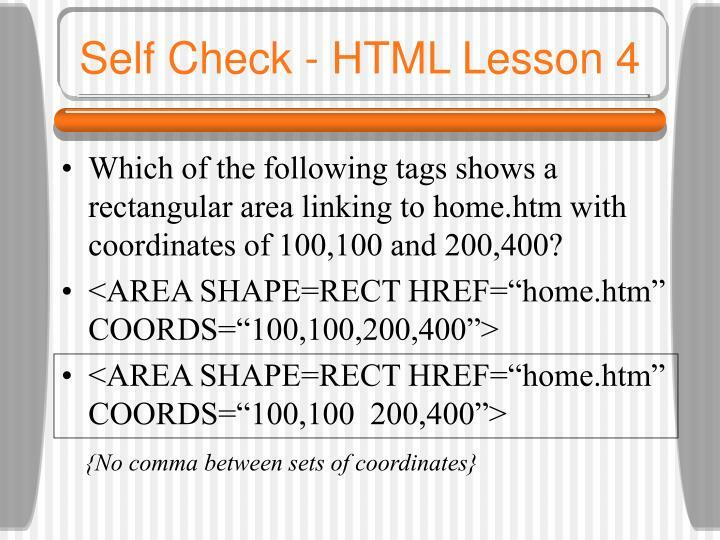 Which of the following tags shows a rectangular area linking to home.htm with coordinates of 100,100 and 300,400? 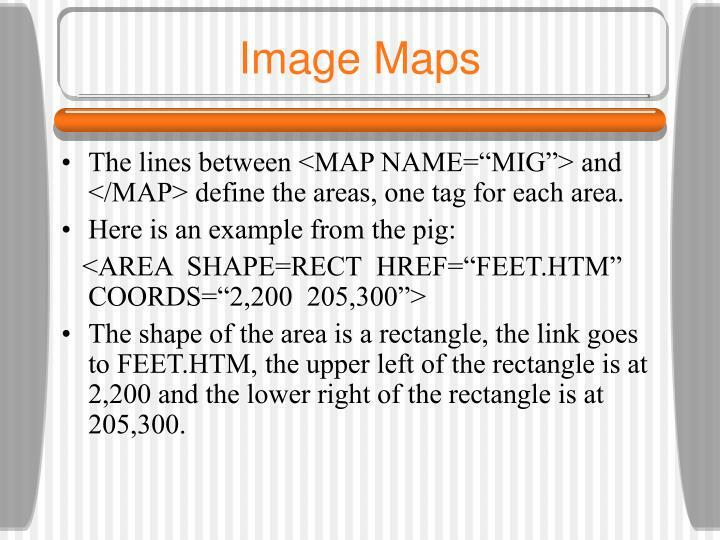 Which of the following tags shows a rectangular area linking to home.htm with coordinates of 100,100 and 200,400?